Numerous Tired Hands’ beers make their way through our taproom, and a few have served as inspiration for our own brews. The “fermentaria” was comfortably crowded when we arrived in the early afternoon. The open taproom featured numerous tables and a long wrapping bar. The taproom spilled into the production area which housed a few brewers finishing up the day’s work. During our visit, we were lucky enough to cross paths with brewer/owner Jean, who gifted us with a bottle of his “Prayer Group”. The bottle conditioned lager aged on lemon juice was a fresh change of pace from the barrage of IPAs that typically cross our path. Jean’s immense appreciation for this beer shined through as he provided tasting notes and explained the happenings of the brewery. Upon Jean’s recommendation, we walked over to Tired Hand’s other location—their smaller brewpub across the street. We sampled the new releases of the day: a peach cobbler “milkshake” IPA and a peach cobbler Berliner Weiss. The bustling brew pub featured eccentric artwork, experimental beer and food, and provided an extremely unique atmosphere that perfectly matched the Tired Hands brand. 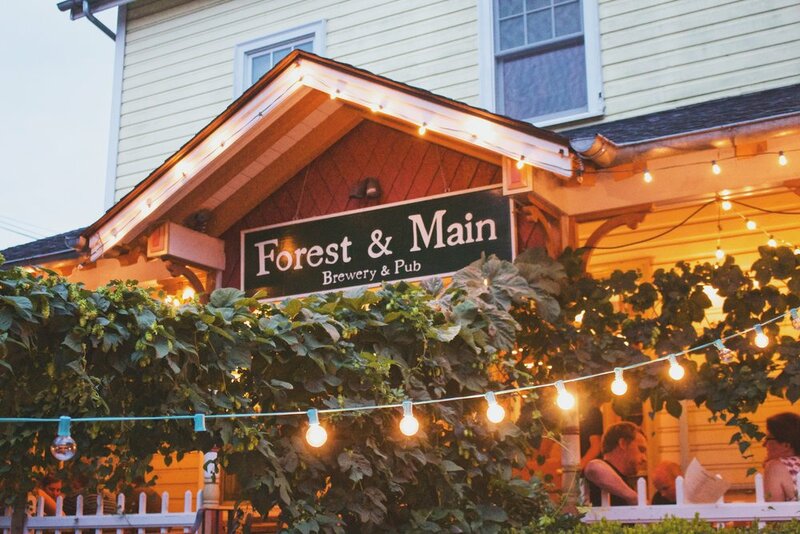 This quaint brewery & restaurant stands at the corner of Forest Avenue and Main Street in an unassuming 19th century house. 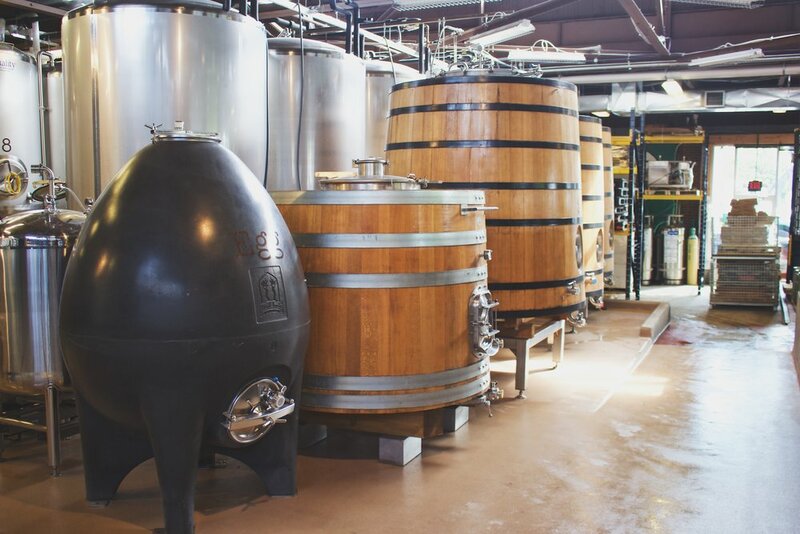 Beers are produced in the back room and enjoyed on the front lawn under sprawling hop vines. 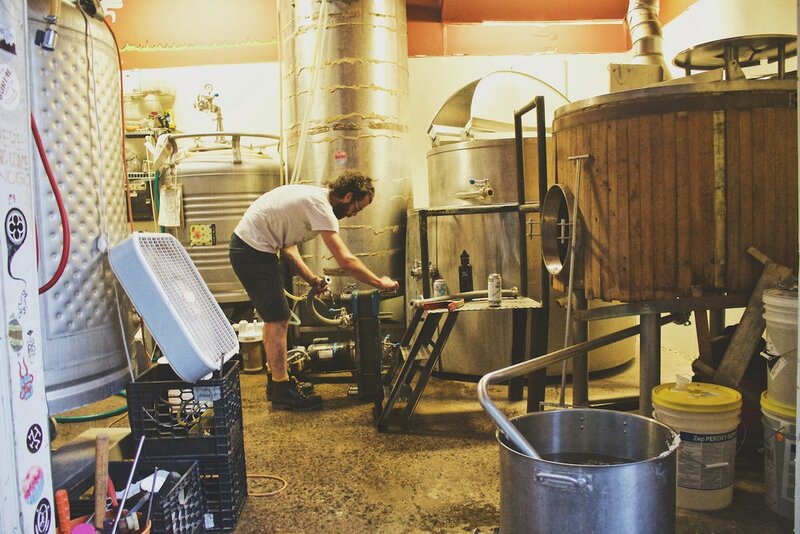 We were lucky to be invited to the backyard where we talked with owner/brewer Gerard. He showed us around the small production area which housed a unique assortment of brewing vessels all tied together into a cohesive system. Much like our own facility, the brewery radiated heat on the hot August night, as we talked about their upcoming beers. Gerard was generous enough to share a bottle of their house saison, and showed us the basement next door which served as a barrel aging room for the brewery. Through a motley of hoses the brewers filled barrels under the dim lights. Forest and Main has forged a strong reputation in the beer industry, but it was mostly the experience itself that stood out to me looking back on the trip. 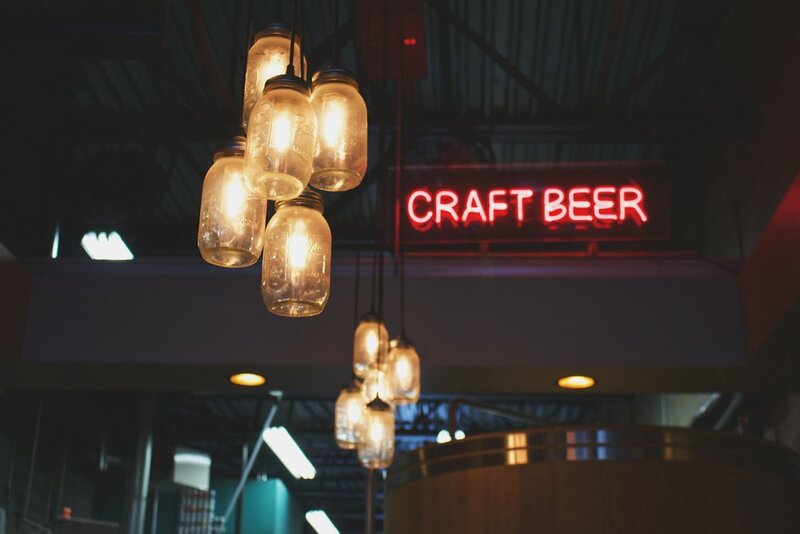 The simplicity of the location and brewery allows guests to focus on enjoying the moment rather than getting caught up in the flashy taprooms and shiny stainless steel. 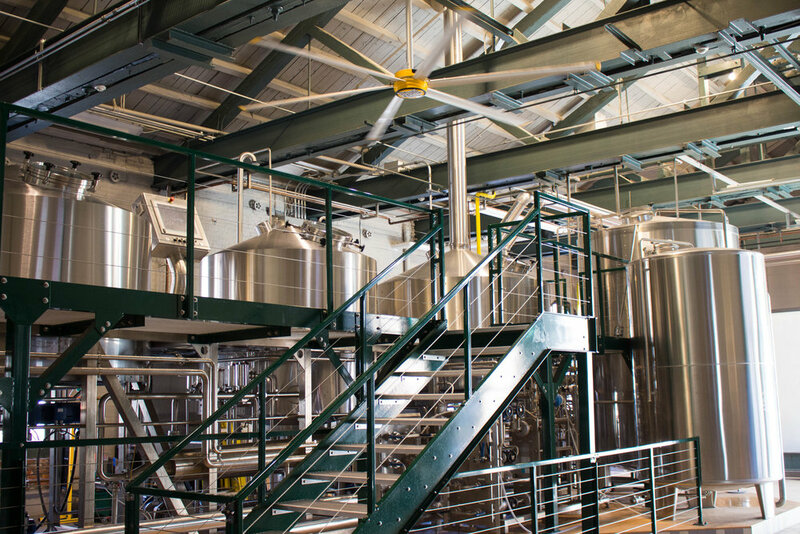 With little intel on Industrial Arts, we were pleasantly surprised by the setting of this young brewery. A towering smokestack—like Diamondback—dominates the pre-Civil War era facility set in the lower Hudson Valley region of New York. We parked the car and headed for the large open entrance to the brewery and taproom. Immediately upon entrance, we were greeted by soft tones of green, yellow and gray—setting the senses and mind at ease. The massive brew house dominated the taproom while the bar area remained hidden behind an open archway in the wall. The taplist was diverse with extra pale ales, double IPAs, and pilsners. Each of us grabbed a different selection, varying from sample size to standard pint, and headed for the seated area to fully digest the scene. Upon further inspection, it became evident that Industrial Arts had positioned their cellar several hundred feet from the brew house. Their wort was sent through a series of pipes to a nearby warehouse which housed the fermenters. We were unable to tour the cellar but imagination was enough for this short visit. Road beers were necessary for our next drive up the Hudson Valley. With a few four packs in hand, we headed for the car inspired. A winding dirt road in Poughkeepsie, NY leads to one of the most unique breweries any of us have visited. Plan Bee was perched upon a hilltop with 360 degree rolling hill views. 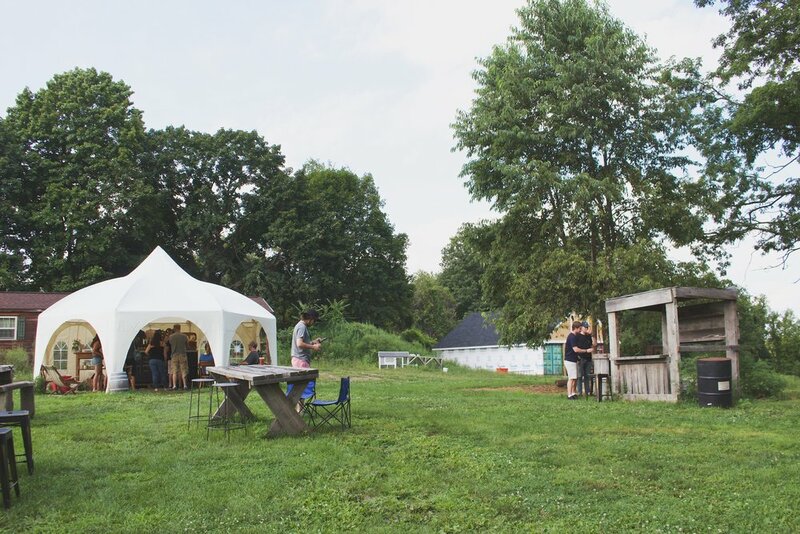 The taproom was simply an open field staged with wooden tables and a lonesome eight-sided tent. We were greeted by a friendly personality, an exclusive tap list, and extensive bottle offerings. 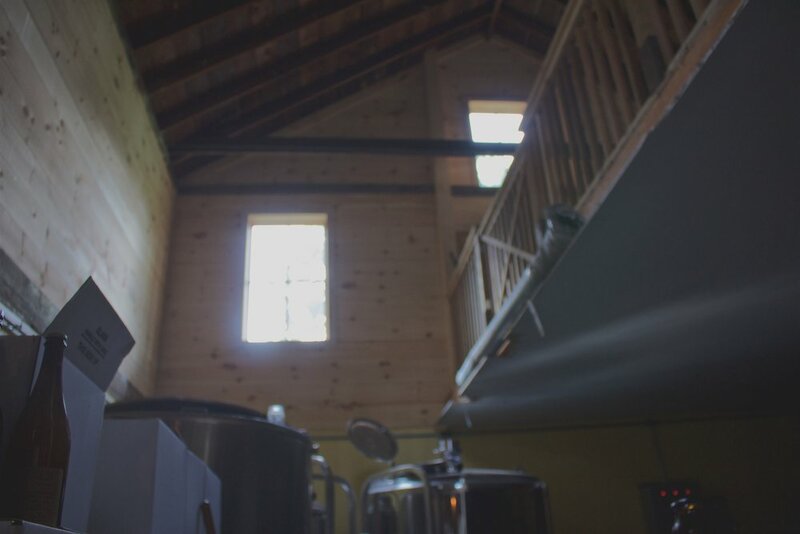 Our excitement multiplied when we were invited into the barn which housed their brew system and soon-to-be taproom. The afternoon light crept in through windows and small cracks in the walls exposing the beautiful imperfections of the brewery. 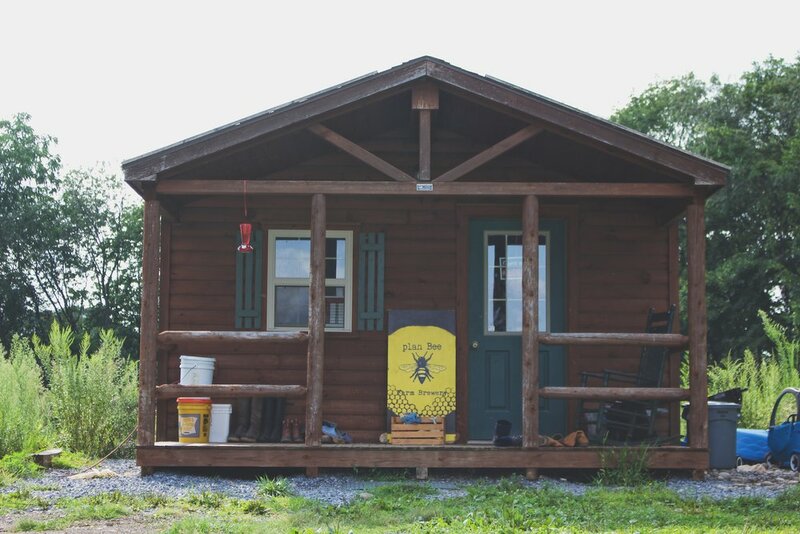 Plan Bee prides itself on using 100% New York State ingredients, and wild cultivated yeast allowing for unique, tart but delicate beer. If we did not have one last brewery to visit, a few more beverages from Plan Bee and an August sunset would have been the perfect cap to a trip well deserved. A place so far from home, but felt anything such. Taylor and Dan Suarez are cultivating a special niche in the Hudson Valley. The brewery is located along a long stretch of U.S. 9 in a standalone building enveloped in towering vines, squash plants and sunflowers. Parking was located in the rear. Taylor and her mother-in-law were admiring the family garden with the youngest family member in tow. 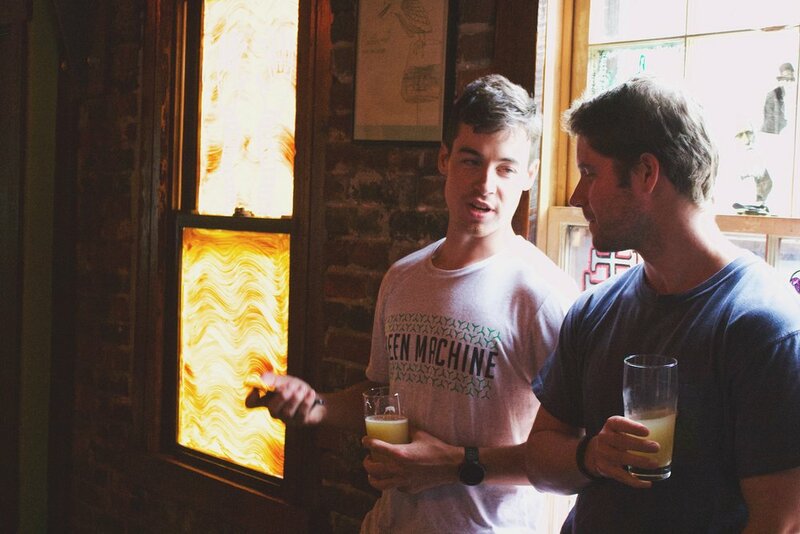 Zack Kaiser (we are so fortunate to have you on the team) introduced us and we slowly made our way to the taproom and brewery. Much like Industrial arts, the color scheme was warm and inviting. 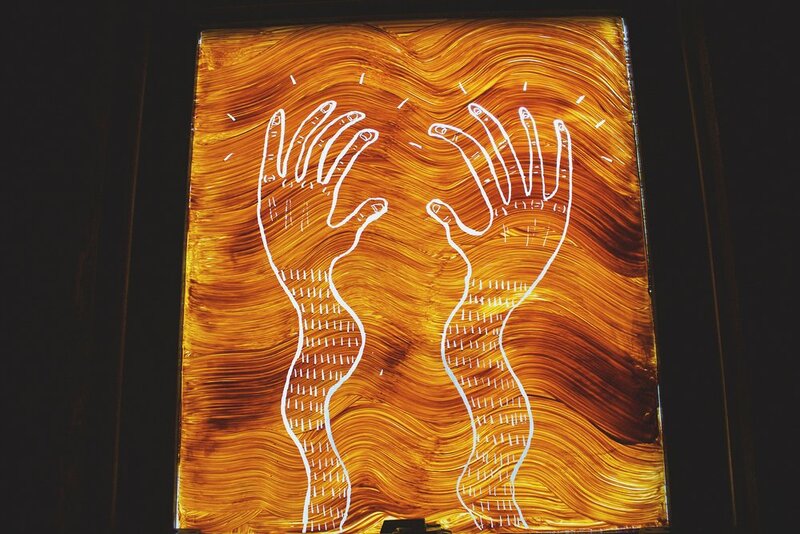 The taproom featured glossy cement floors, light music, and large inviting windows which displayed views of the upstate New York landscape. Dusk was upon us. A lone employee takes orders and hands over your selection to a co-worker in a back room. Each beer is carefully poured and delivered to a cart located by the counter. It wasn’t long after the first sip that Dan Suarez, owner and brewer, greeted and invited us behind closed doors. This was special. His tour was mild mannered yet in depth. 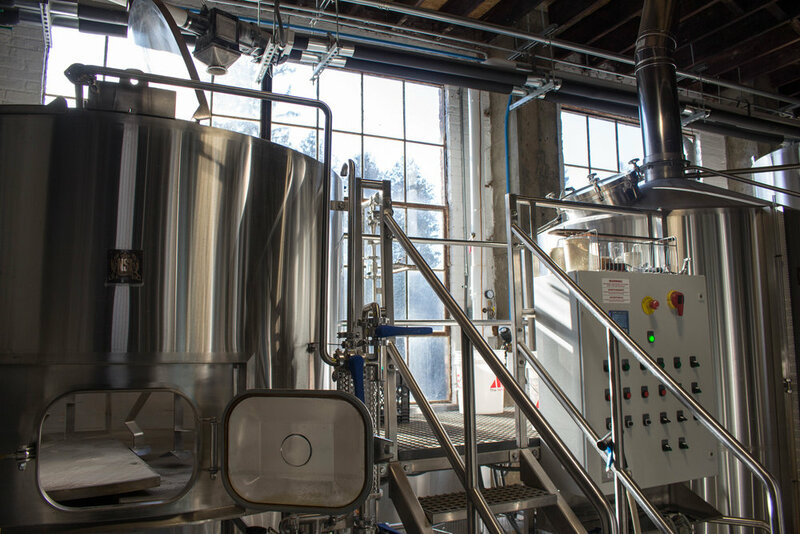 It was a modest brew house carefully placed within the room to allow for efficient flow, natural light, and modest growth. We spoke for roughly 30 minutes exchanging thoughts but mostly listening to what Dan had to offer. Over staying our welcome was not the intention. The taproom invited us back with an open table, last call for beers, and a slowly setting sun. A few to-go bottles were purchased and the Air BnB was calling our name. Safely put, some experiences change your life and inspire ventures. It's clear to all of us now that something as simple as a road trip can have an immense impact on ourselves and our company. It has been over a month since we returned from the Hudson Valley, and so many ideas have been shared between us. We have forged new values and new goals from our time spent outside our brewery. We have put plan into action. 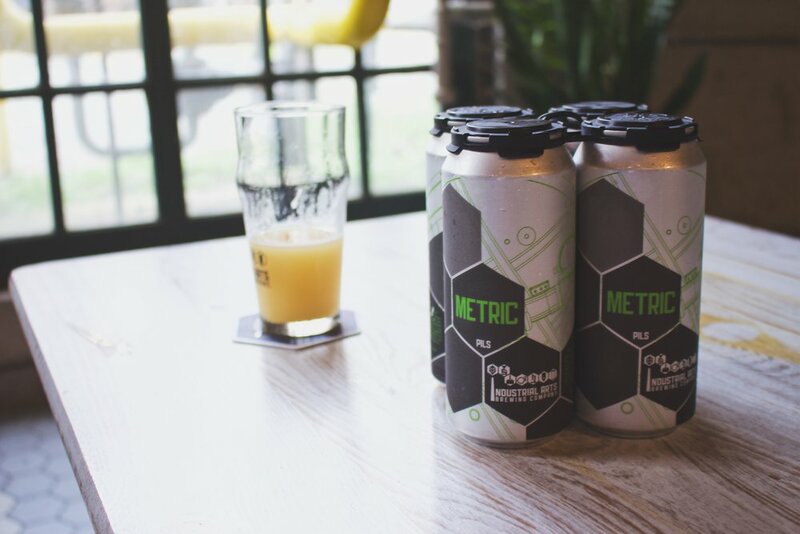 Diamondback is expanding and with that comes new beers, new programs, and the drive to bring the best beer possible to our customers. Stay tuned because we have some great new ventures coming this year.